Founded in 2012, start-up Digicash quickly conquered the mobile payments market. Purchased in 2016 by the Payconiq group, it now goes to conquer Europe. 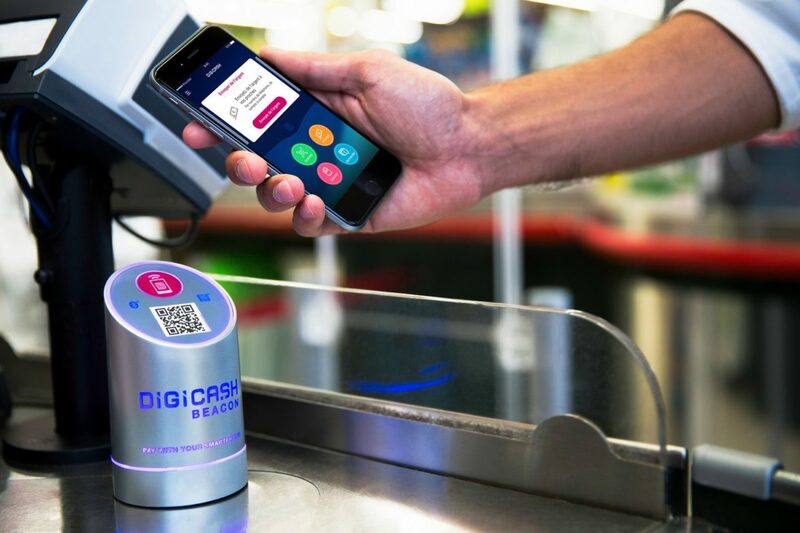 Simplicity and security are the two keywords that the designers behind mobile payment solution Digicash have always focused on. The company, which was founded in 2012 after two years in the making, has conquered the national market with an innovative technology that has placed great emphasis on working in close collaboration with banks from the outset, a pioneer among those who had not yet come to be known as Fintechs. Having already co-founded Mpulse, specialising in added-value SMS services, Georges Berscheid, Raoul Mulheims and Mike Sergonne began working on a universal payment platform solution in spring 2010, with Jonathan Prince, a specialist in mobile operator-based payments, also coming on board. The project immediately won the support of the Luxembourg Ministry of the Economy and Foreign Trade, which was very much aware of the highly strategic significance of this type of development. Its achievements certainly weren’t going unnoticed, and a few months later, Digicash, which was still at the R&D stage at the time, received its first award in the form of the ICT Grand Prix organised in Luxembourg by economic and financial magazine Paperjam. It was awarded by an international panel chaired by Jean Schweitzer (then-Project Development Manager at the University of Luxembourg). Officially presented at the ICT Spring show held in Luxembourg in May 2011 and approved by Apple to be added to the App Store a few months later, Digicash also won the BeLux Financial Services category at the first edition of the Accenture Innovation Awards in February 2012. It was only a few months later, in July 2012, however, that the company was approved by the Luxembourg Ministry of Finance as a payment institution. An initial ‘Friendly users’ phase was immediately launched with the Banque et Caisse d’Épargne de l’État, with the Luxembourgish bank becoming the very first body to officially offer its local clients access to the Digicash mobile payment solution in November 2012. POST Luxembourg (August 2013), the BIL (March 2014), BGL BNP Paribas (March 2015) and ING (May 2017) would all later follow suit, meaning that Digicash eventually became a banking product that partner banks were offering to their own clients. Since the solution is directly linked to the user’s bank account, no sensitive financial data is stored on the phone. In early 2014, the start-up launched a new innovation in the form of the first SEPA (Single Euro Payments Area)-compatible account-to-account payment system using the Beacon technology (a series of small, wireless beacons that emit signals via Bluetooth to trigger payments without requiring any physical contact). There are currently some 800 beacons active among at 500 shops. A few months later the founders of the company raised €2.2 million with the support of the SNCI (the national credit and investment company) and the Luxembourg government. The Digicash app had been downloaded some 135,000 times by spring 2017, chalking up a total of 75,000 activations and a P2P transfer function usage rate of over 30%. Inevitably, the company’s dazzling success would become highly coveted, and in summer 2017, Belgo-Dutch group Payconiq International, founded in 2014 at ING’s banking innovation centre and also supported by the KBC banking group, announced its buyout of Digicash with a view to creating “one of the most advanced mobile payment platforms in Europe”. Payconiq, which was based in the Netherlands at the time, immediately decided to move its head office to Luxembourg, from where it would manage its current operations and drive forward its ambitious development plans for Europe.